1. 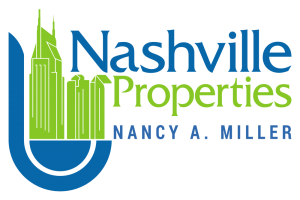 Acceptance of Terms – Your access and use of nashville-properties.com is subject exclusively to these Terms and Conditions. You will not use the Website/ Services for any purpose that is unlawful or prohibited by these Terms and Conditions. By using the Website, you are fully accepting the terms, conditions, and disclaimers contained in this notice and all terms incorporated by reference. If you do not accept these Terms and Conditions, you must immediately stop using the Website. 2. The Services – The Website may provide communication tools such as email, bulletin boards, chat areas, news groups, forums and/or other message or communication facilities (the “Services”) designed to enable you to communicate with others. Unless stated otherwise, the Services are for your personal and noncommercial use only. 3. Privacy – We believe strongly in providing you notice of how we collect and use your data, including personally identifying information, collected from the Sites. We have adopted a Privacy Statement to which you should refer to fully understand how we collect and use personally identifying information. 4. User Account, Password and Security – If a particular Service requires you to open an account, you will be required to complete the registration process by providing certain information and registering a username and password for use with that Service. You are responsible for maintaining the confidentiality of the username and password and also for all activities that take place under your account. You agree to immediately notify us of any unauthorized use of your password or account or any other breach of security. In no event will hodgesandfooshee.com or Company owning the domain, or any affiliates, web developers, or hosting services be liable for any indirect or consequential loss or damage whatsoever resulting from the disclosure of your username and/or password. You may not use another person’s account at any time, without the express permission of the account holder. 5. Use of the Site; Limited License – You agree that you will not modify, copy, distribute, resell, transmit, display, perform, reproduce, publish, license, create derivative works from, frame in another Web page, use on any other web site or service any Site Materials. Site Materials include but are not limited to all content, data, information, and materials included in the Site. You will not use the Site or any Site Materials other than for its intended purpose or in any way that is unlawful, or harms hodgesandfooshee.com , affiliates, web developers, or hosting services providers / Companies and/or their suppliers. Without prejudice to the foregoing, you may not engage in the practices of “screen scraping”, “database scraping”, “data mining” or any other activity with the purpose of obtaining lists of users or other information from the Site or that uses web “bots” or similar data gathering or extraction methods. You may not obtain or attempt to obtain any materials or information through any means not intentionally made available or provided for or through the Site. Any use of Site or the Site Materials authorized herein, is strictly prohibited. Such unauthorized use may terminate the license granted herein and may be in violation of applicable laws including, without limitation, copyright and trademark laws and applicable communications regulations and statutes. Unless explicitly stated herein, nothing in these Site Terms shall be construed as conferring any license to intellectual property rights, whether by estoppel, implication or otherwise. 6. Termination – We have the right to terminate your access to any or all of the Services and/or Site at any time, without notice, for any reason, including without limitation, breach of these Terms and Conditions. Upon such termination or suspension, your right to use the Site will immediately cease. Furthermore, we reserve the right not to respond to any requests for information for any reason, or no reason.We may also at any time, at our sole discretion, discontinue the Website/ Services or any part thereof without prior notice and you agree that we shall not be liable to you or any third party for any termination of your access to the Website/ Services. 7. Acceptable use – You acknowledge that all information, text, graphics, logos, photographs, images, moving images, sound, illustrations and other materials (the “Content”), whether posted publicly or transmitted privately, are the sole responsibility of the person from whom such Content originated. We do not control or endorse the Content and cannot guarantee the accuracy, integrity or quality of such Content and you acknowledge that by using the Services you may be exposed to Content that is offensive and/or indecent. hodgesandfooshee.com , affiliates, web developers, or hosting services and Company will not be liable in any way for any Content or for any loss or damage of any kind resulting from the use of any Content transmitted via the Services and you agree to bear all risks associated with the use of any Content, including any reliance on the accuracy or completeness of such Content. 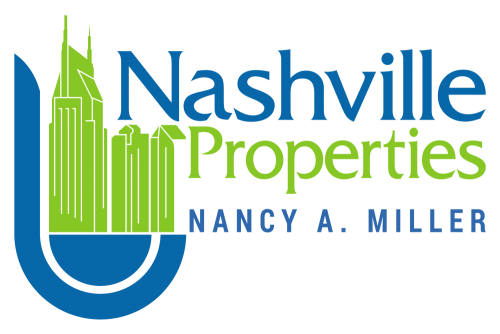 b. nashville-properties.com , affiliates, web developers, or hosting services has no obligation to monitor the Services but shall be entitled to review materials posted to a communications facility and, at our sole discretion, to remove any material that breaches these Terms and Conditions or is otherwise objectionable. 8. Consent to Communications – By filling out any forms on the Site or making any inquiries through the Site you acknowledge that we have an established business relationship and you expressly consent to being contacted by us, whether by phone, mobile phone, email, mail or otherwise. 9. Property Listing Data – Any real estate listing data provided to you in connection with the Site is not intended to be a representation of the complete Multiple Listing Service (“MLS”) data for any of our MLS sources. We are not liable for and do not guarantee the accuracy of any listing data or other data or information found on the Site, and all such information should be independently verified. The information provided in connection with the Site is for the personal, noncommercial use of consumers and may not be used for any purpose other than to identify prospective properties consumers may be interested in purchasing. Some properties which appear for sale on this website may no longer be available because they are under contract, have sold or are no longer being offered for sale. 10. Intellectual Property Rights – The Website and its content (including without limitation the Website design, text, graphics and all software and source codes connected with the Website and the Services) are protected by copyright, trademarks, patents and other intellectual property rights and laws. In accessing the Website, you agree that you will access the contents solely for your personal, noncommercial use. None of the content may be downloaded, copied, reproduced, transmitted, stored, sold or distributed without the prior written consent of the copyright holder. This excludes downloading, copying and/or printing of pages of the Website for personal, noncommercial home use only. 11. International Use – You agree to comply with all applicable laws regarding the transmission of technical data exported from the United States of America or the country in which you reside (if different) and will abide by all local laws and rules regarding acceptable use of and conduct on the Internet. 12. Links to Third Party Websites – The Website/Services may include links to third party websites that are controlled and maintained by others. Any link to other websites is not an endorsement of such websites and are provided to you only as a convenience, and the inclusion of any link does not imply affiliation or adoption by us of any site or any information contained therein. We make no claim or representation regarding, and accept no responsibility for, the quality, content, nature or reliability of third party websites accessible by hyperlink from the Site or Web sites linking to the Sites. Upon your departure from Site, you should be aware that our Terms and Conditions are no longer the governing policies. You should review the applicable terms and policies, including privacy and data gathering practices, of any site to which you navigate to. We may run advertisements and promotions from third parties on the Site or may otherwise provide information about or links or referrals to third party products or services on the Site. Your business dealings or correspondence with, or participation in promotions of, such third parties, and any terms, conditions, warranties or representations associated with such dealings or promotions are solely between you and such third party. We are not responsible or liable for any loss or damage of any sort incurred as the result of any such dealings or promotions or from any third party products or services, and you use such third party products and services at your own risk. We do not sponsor, endorse, recommend or approve any such third party who advertises their goods or services through the Site. You should investigate and use your independent judgement regarding the merits, quality and reputation of any individual, entity or information that you find on or through the Site. We do not make any assurances as to the timeliness or accuracy of any third party content or information provided on or linked to the Site (“Third Party Content”). We do not monitor or have any control over any Third Party Content, and do not endorse or adopt any Third Party Content and can make no guarantees as to its accuracy or completeness. We will not update or review any Third Party Content, and if you choose to use such Third Party Content you do so at your own risk. 13. Indemnity – You agree to indemnify and hold nashville-properties.com , affiliates, web developers, or hosting services and Company harmless from and against any breach by you of these Terms and Conditions and any claim or demand brought against nashville-properties.com , affiliates, web developers, or hosting services and Company by any third party arising out of your usage of the Services and/or any Content submitted, posted or transmitted through the Services, including without limitation, all claims, actions, proceedings, losses, liabilities, damages, costs, expenses (including reasonable legal costs and expenses) howsoever suffered or incurred by nashville-properties.com , affiliates, web developers, or hosting services and Company in consequence of your breach of these Terms and Conditions. 14. Limitation of Liability- USE OF THE WEBSITE/SERVICES IS AT YOUR OWN RISK. THE WEBSITE/SERVICES ARE PROVIDED ON AN “AS IS” AND “AS AVAILABLE” BASIS WITHOUT ANY REPRESENTATION OR ENDORSEMENT MADE AND WITHOUT WARRANTY OF ANY KIND WHETHER EXPRESSED OR IMPLIED, INCLUDING BUT NOT LIMITED TO THE IMPLIED WARRANTIES OF SATISFACTORY QUALITY, FITNESS FOR A PARTICULAR PURPOSE, NON-INFRINGEMENT, COMPATIBILITY, SECURITY AND ACCURACY. TO THE EXTENT PERMITTED BY LAW, COMPANY AND hodgesandfooshee.com , affiliates, web developers, or hosting services OR ANY OF THEIR RESPECTIVE SUPPLIERS WILL NOT BE LIABLE FOR ANY DIRECT, SPECIAL, INDIRECT OR CONSEQUENTIAL DAMAGES, OR ANY OTHER DAMAGES OF ANY KIND, INCLUDING BUT NOT LIMITED TO LOSS OF USE, LOSS OF PROFITS, OR LOSS OF DATA, WHETHER IN AN ACTION IN CONTRACT, TORT (INCLUDING BUT NOT LIMITED TO NEGLIGENCE), OR OTHERWISE ARISING OUT OF OR IN ANY WAY CONNECTED WITH THE USE OF THE SITE OR THE SITE MATERIALS. BA 360 MAKES NO WARRANTY THAT THE WEBSITE/SERVICES WILL MEET YOUR REQUIREMENTS, THAT CONTENT WILL BE ACCURATE OR RELIABLE, THAT THE FUNCTIONALITY OF THE WEBSITE/SERVICES WILL BE UNINTERRUPTED OR ERROR FREE, THAT DEFECTS WILL BE CORRECTED OR THAT THE WEBSITE/SERVICES OR THE SERVER THAT MAKES THEM AVAILABLE ARE FREE OF VIRUSES OR ANYTHING ELSE WHICH MAY BE HARMFUL OR DESTRUCTIVE. 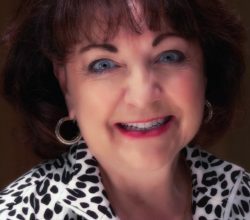 NOTHING IN THESE TERMS AND CONDITIONS SHALL BE CONSTRUED SO AS TO EXCLUDE OR LIMIT THE LIABILITY OF hodgesandfooshee.com , affiliates, web developers, or hosting services FOR DEATH OR PERSONAL INJURY AS A RESULT OF THE NEGLIGENCE nashville-properties.com , affiliates, web developers, or hosting services. NOTHING IN THESE TERMS AND CONDITIONS SHALL AFFECT YOUR STATUTORY RIGHTS AS A CONSUMER. 15. Applicable Law and Venue – These Terms and Conditions are governed and construed in accordance with the laws of the State of Florida, applicable to agreements made and entirely to be performed within the State of Florida, without resort to its conflict of law provisions. You agree that any action at law or in equity arising out of or relating to these terms and conditions can be filed only in state or federal court located in Orlando, Florida, and you hereby irrevocably and unconditionally consent and submit to exclusive jurisdiction of such courts over any suit, action or proceeding arising out of these Terms and Conditions. 16. Severance – If any of these Terms and Conditions should be determined to be invalid, illegal, or unenforceable for any reason by any court of competent jurisdiction, such Terms and Conditions shall be severed and the remaining Terms and Conditions shall survive and remain in full force and effect and continue to be binding and enforceable. 17. General Terms – We may assign this Agreement, in whole or in part, at any time with or without notice to you. You may not assign this Agreement, or assign, transfer, or sublicense your rights, if any, in the Sites. Except as expressly stated herein, the Site Terms constitute the entire agreement between you and us with respect to the Sites. 18. Copyright and Trademark – Unless otherwise indicated in the Site, the Site Materials and the selection and arrangement thereof are the proprietary of nashville-properties.com , affiliates, web developers, or hosting services and/or their suppliers and are protected by United States and International copyright laws.